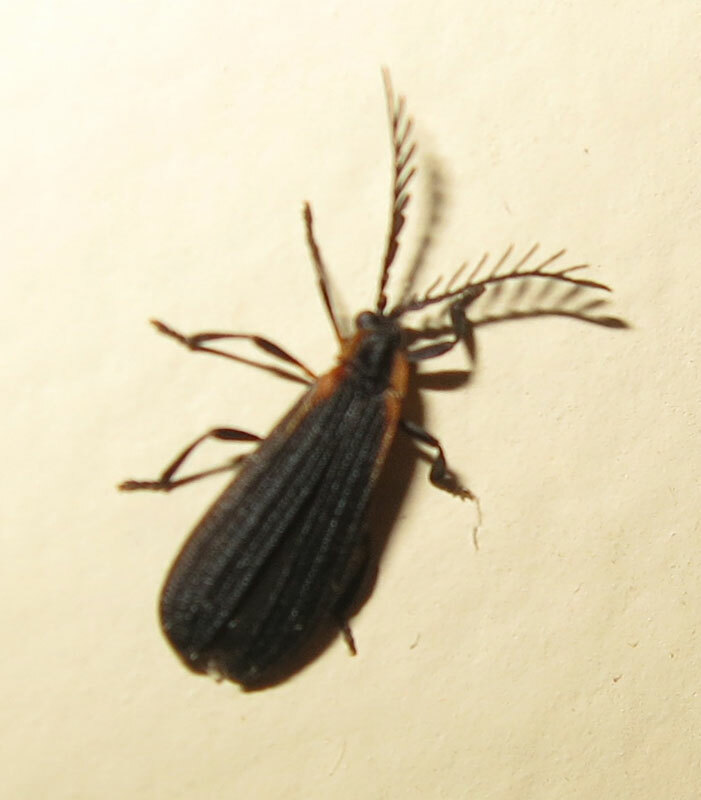 We have a number of net winged beetles here in Sutton! 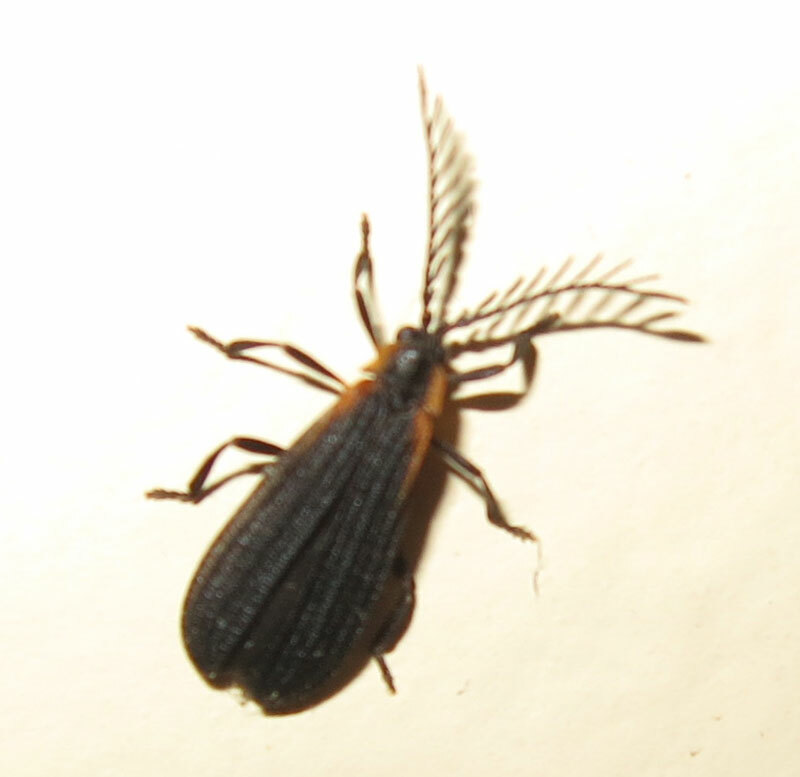 This particular one is a Leptoceletes, part of the Calopterini tribe. 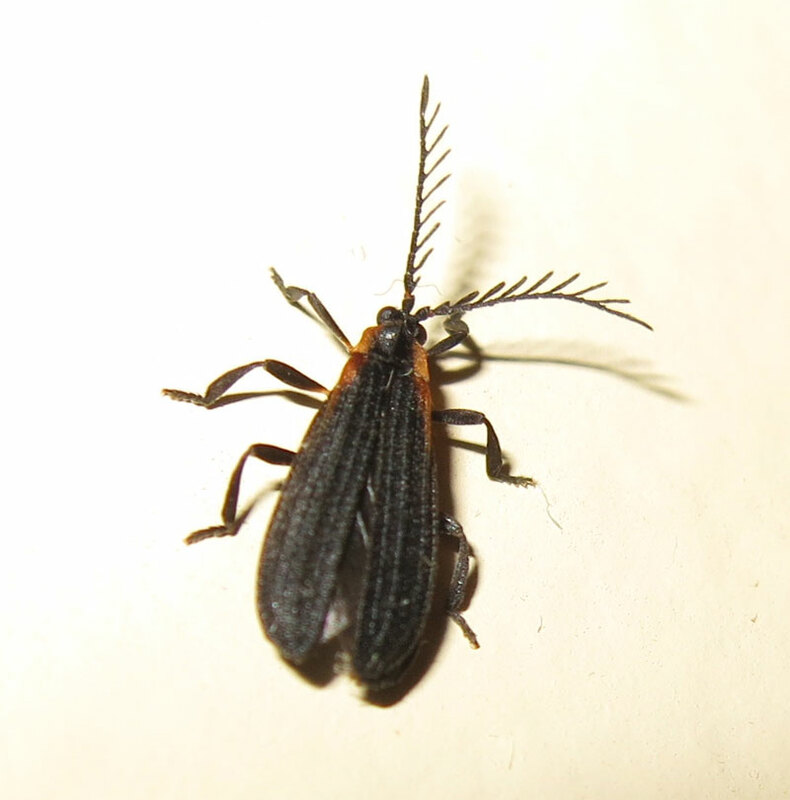 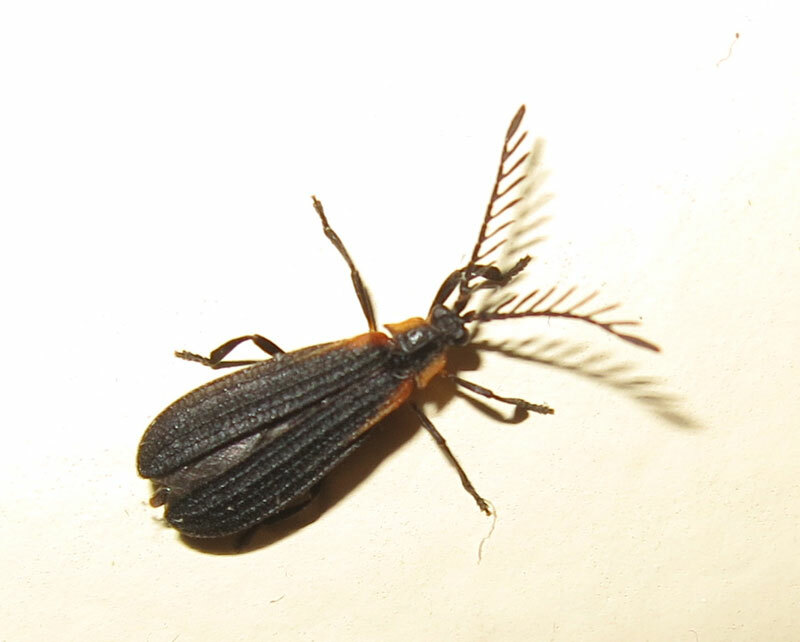 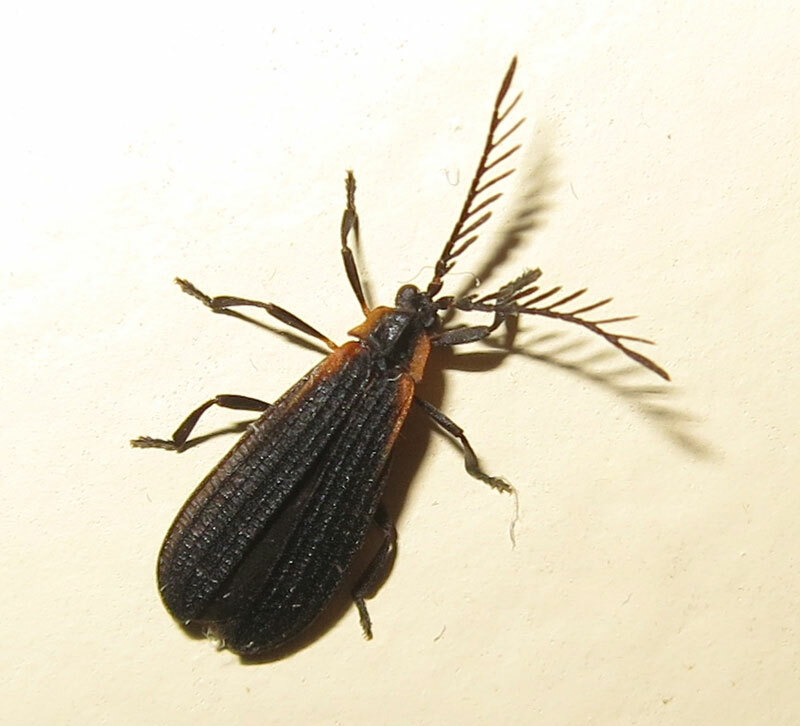 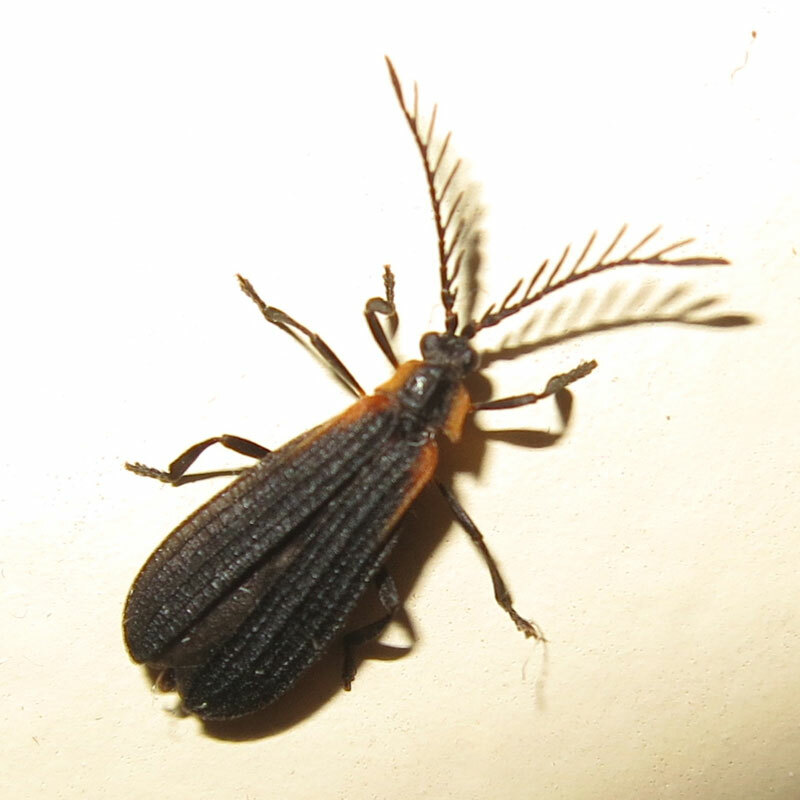 It has a black body, orange shoulders, and then cool feathery antennae with forward-pointing bits. 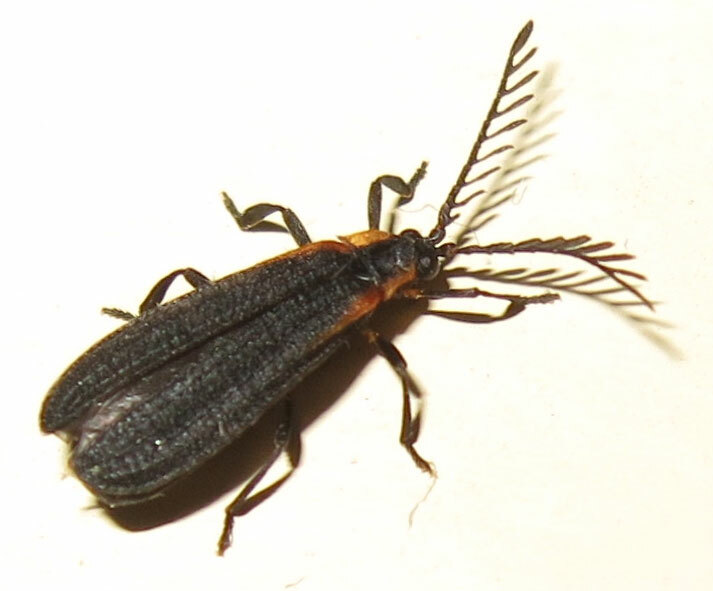 They tend to eat plants.